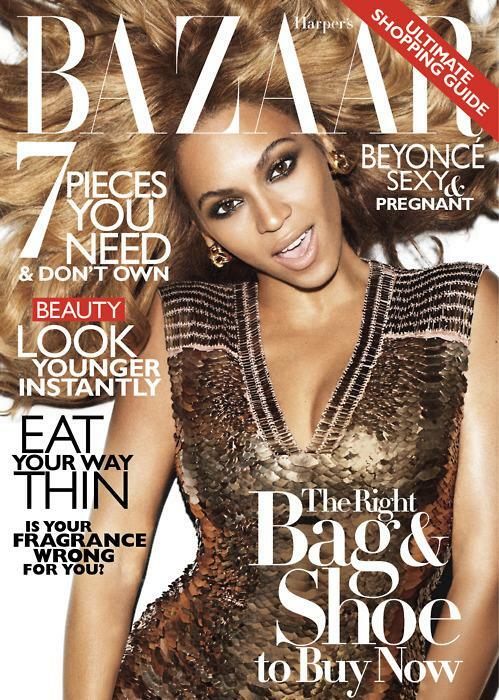 Beyonce is all hair for her November cover of Harper's Bazaar USA, the cover was shot by Terry Richardson. Beyonce discusses her pregnancy to House of Dereon's new maternity line. In her spread she bears her beautiful bump in looks by Reed Krakoff, Salvatore Ferragamo, Dolce Gabbana, Versace, Stella McCartney, Yves Saint Laurent, Chanel, Ralph Lauren and Fendi.